The author, Angelo Caravaggio, has put together a detailed historical account and explanation for the Normandy performances of the 4th Canadian Armoured Division and it's commander, Major General George Kitching. The book endeavors to explain and examine critical factors that have lead previous historians to conclude that neither the commander nor the division performed up to battlefield expectations. 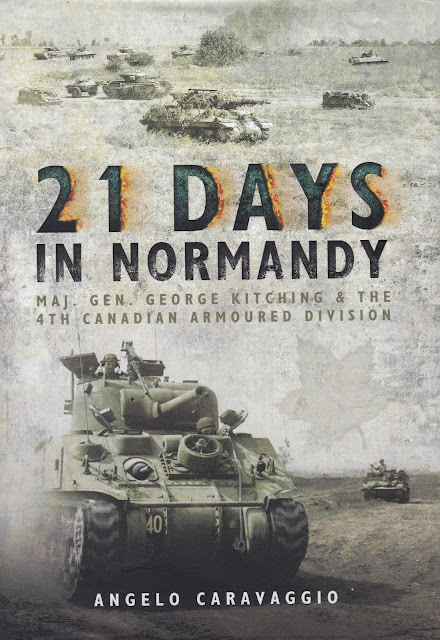 Those readers who enjoy precise descriptions of commander functions and military definitions will be pleased with the in-depth research the author has undertaken to explore just what happened in those 21 days in Normandy. In fact, nearly 100 pages of the 289-page book are devoted to appendices detailing historical information about operational plans/instructions, conference notes, operational intentions, strength returns, chapter notes, an extensive bibliography and of course a thorough index. While analyzing such comprehensive information not everyone's cup of tea, Mr. Caravaggio no doubt found it necessary to include this as a means of bolstering his case that the 4th Armoured Division and General Kitching had been unfairly treated in previous accounts of the relevant Normandy actions. 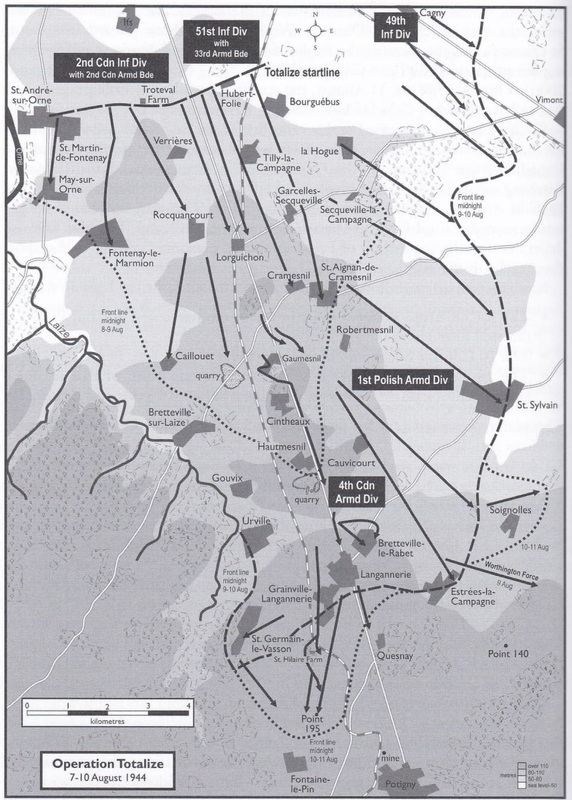 War plans Totalize and Tractable were unevenly applied during the race to close the Falaise gap; to a certain extent, the 4th was blamed for some of the failure to ensnare the thousands of Germans who did escape; albeit abandoning most of their equipment in the process of beating a hasty retreat. The author does a convincing job recounting the various challenges faced by Kitching during the series of Normandy battles: a) training in brigade structure initially and, unlike other armoured divisions, not having time to change/train with the new and more flexible task force structures before the major operations designated Totalize and Tractable; b) losing valuable training time by being forced to waterproof all tanks, which turned out to be an unnecessary waste of valuable time; c) the mediocrity and/or lack of experience of Kitching's brigade commanders; d) the ongoing personal friction between Simonds and Kitching; e) the complex yet ill-considered design structure of both operations, resulting in compressed frontages for armoured maneuvering and subsequent inability of the following infantry brigades to support tank operations; f) the inflexibility of scheduling carpet bombing that leading to attack delays and g) language barriers and operational differences between the 4th and the Polish Armoured Division during the Falaise end-phase. One of the main hindrances was the command structure forced upon subordinate units. Field Marshall Montgomery rigidly expected that orders and plans were to be followed precisely, thus limiting spontaneous field decisions. Further, Simonds was a bit of a micromanager in the sense that he did not give his division commanders reign to determine their own battle plans but instead took it upon himself to issue the detailed orders from Corps level. As mentioned earlier, the 4th Canadian Armoured also suffered from the less flexible pre-invasion brigade structure, which confounded combined operations between tank and infantry elements. Notably, during actual operations, many of the initial brigade commanders were early casualties; new commanders were forced to assume command on the spot. According to the author, this actually helped the various formations succeed because the training at those levels had been very good; the new leaders were forced to improvise tactics that were more spontaneously task-force oriented. If we are to accept the conclusions of the author, the 4th did fight with much more cohesion and success than history gives it credit. 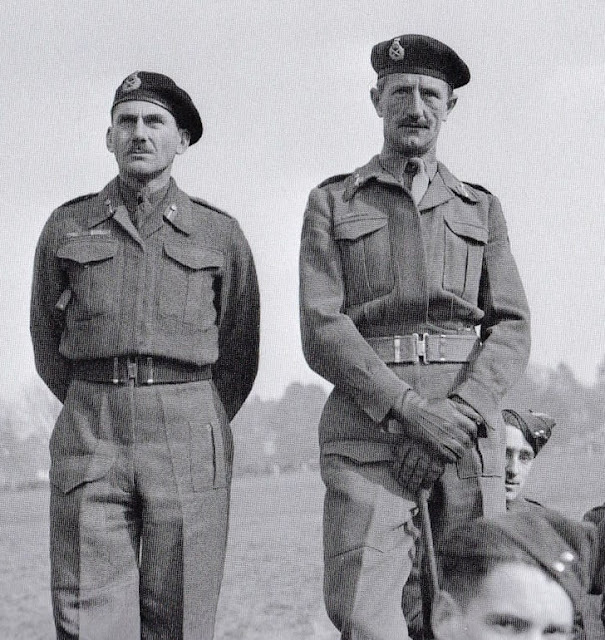 Nevertheless, due to the overall inability of the Canadian Corps to achieve a closure of the Falaise gap, Kitching was relieved as the commander for negligence, ostensibly due to personal conflicts with others in combination with the failure to achieve operational goals. Someone had to be found as a scapegoat in this situation.